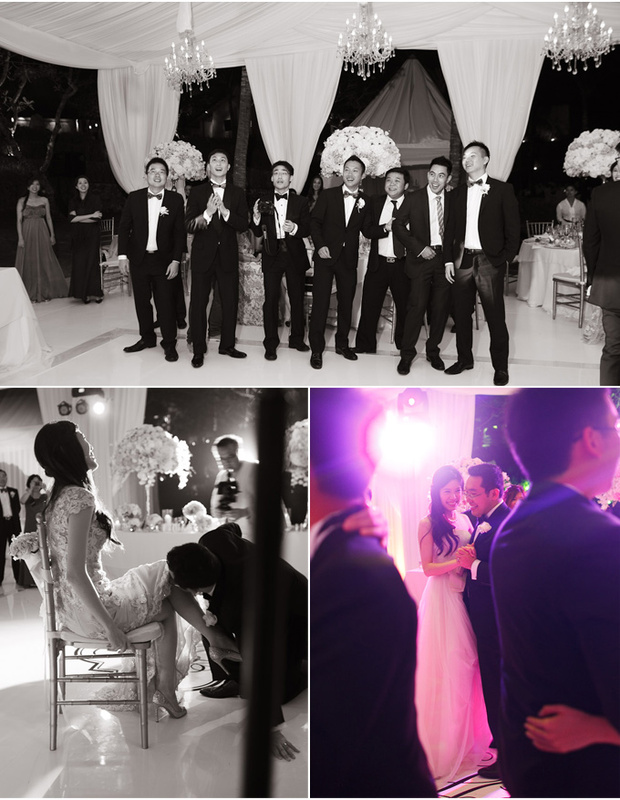 We’re excited this week to share part two of the gorgeous Bali wedding of Gladys and Henry. 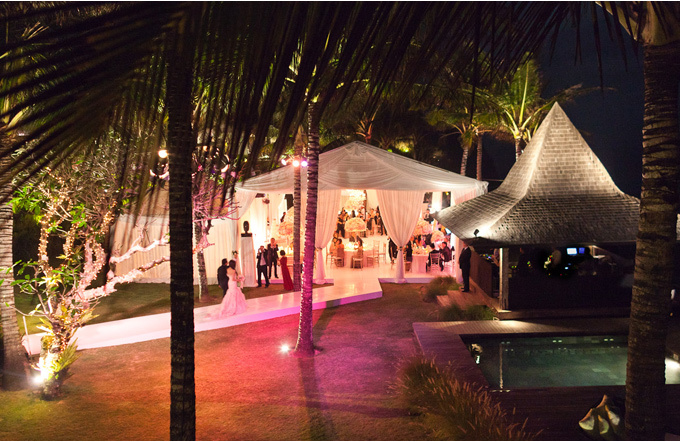 As you can seem after an incredible outdoor ceremony (did you see that amazing view? 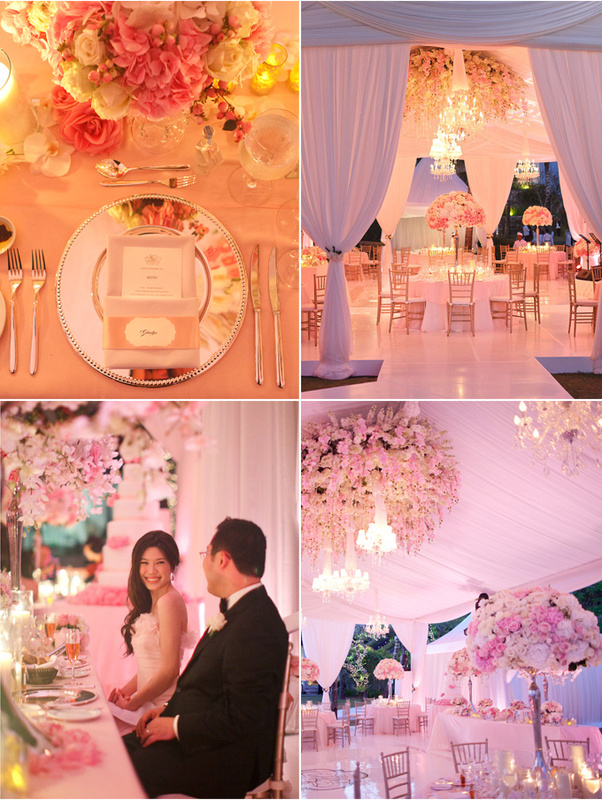 ), the guests proceeded to a stunning tented reception filled with lush flowers, chandeliers and luxurious details! 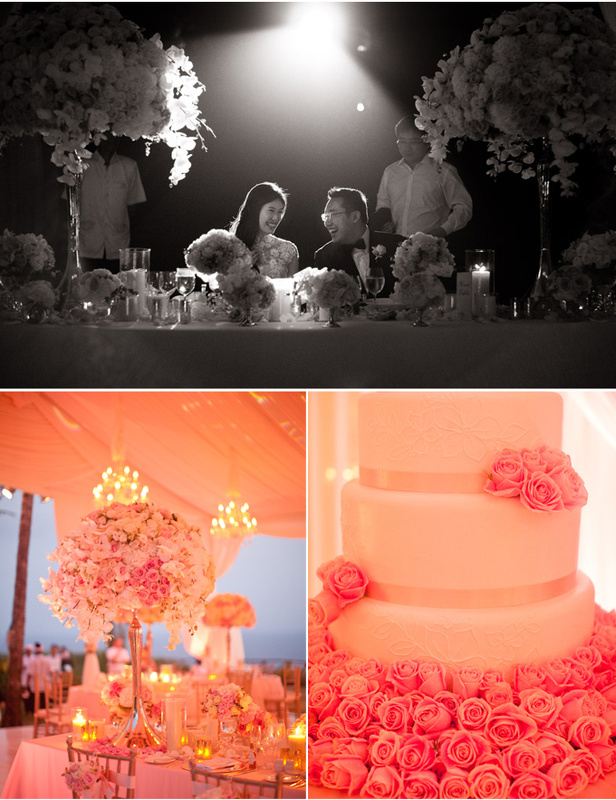 We just love how everything came to life with the vibrant use of pinks, creams and blush tones. 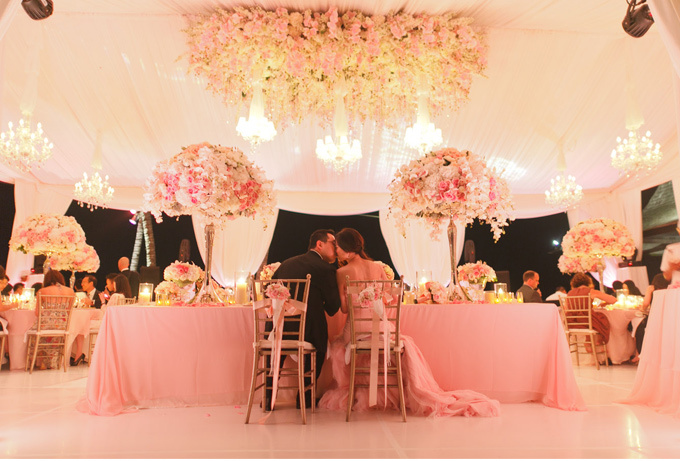 It’s hard to imagine a more romantic setting! 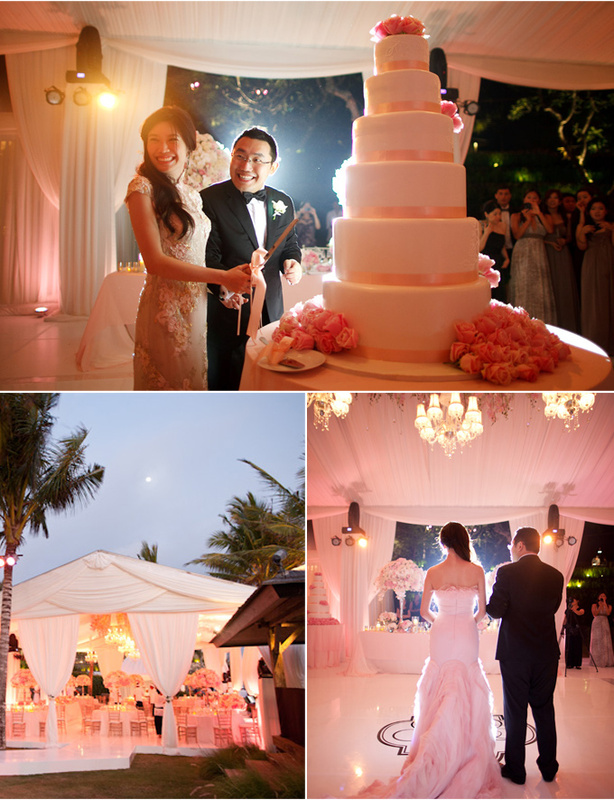 This entry was posted in Destination Weddings, Glamorous Weddings, Real Weddings and tagged Bali, blush, Chandeliers, couture, custom, destination, Flowers, glamorous, Indonesia, invitations, Luxury, monogram, Photography, pink, Real Wedding, Romantic, silk, unique, vintage, wedding, Wedding cakes, Wedding Dress, Weddings. Bookmark the permalink. Wow! Great pictures! 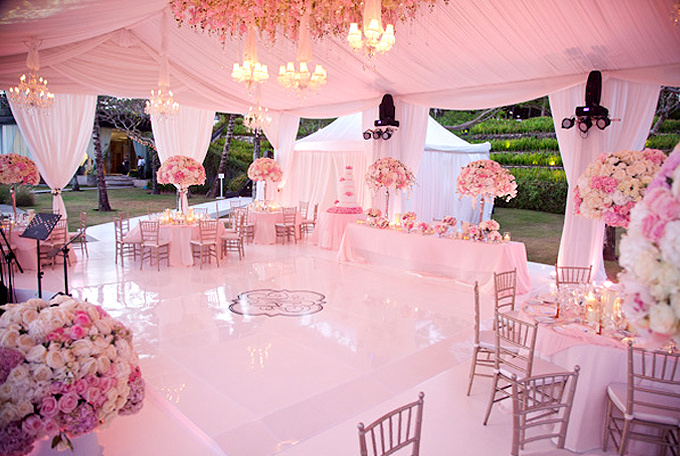 That wedding is really perfect and one of a kind. Thumbs up for sharing this to us. Wow, what a nice table decoration! All details are very, very nice and eleganc! I love these wedding table decorations!